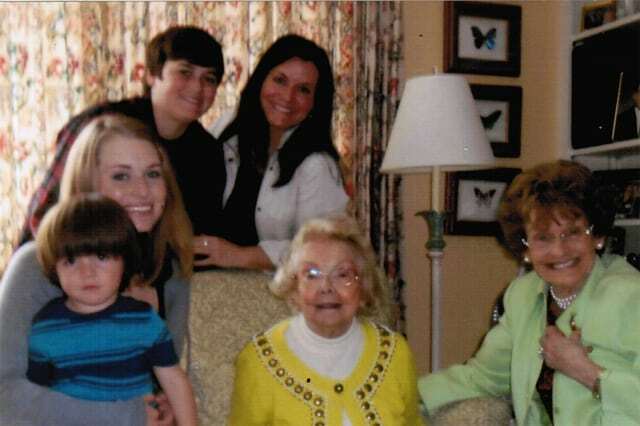 A five-generation family is pictured here. From left to right: Trent Jimenez, Danielle Jimenez, Nick Kerrigan, Tara Kerrigan, Helen Lott and Pam Olt. Helen Lott turns 101 years young on July 3. She will celebrate the milestone with her family, which now contains five generations. The couple moved to Galion in 1946 and bought a house on Harding Way West. They raised three children: Pam, Bill and Bob. Lott now has eight grandchildren, 13 great-grandchildren and one great-great-grandchild. Much can change over the course of a century. Lott was interviewed in 2013 for the Galion Historical Society’s ongoing oral history project. She recalled every uptowne business in 1946 — on both sides of the street — including: Cook’s Electric, Thomas Hardware, Maloy’s Bakery, Quay’s Drugstore, J & H Shoe Store and the Tiger’s Den. She joined about 20 local clubs upon arriving, including the Girl and Boy Scouts, North End Garden Club and the Galion Country Club. Lott also helped start the Galion Community Foundation. Pam Olt, Lott’s daughter, recently said that her mother was a great cook and was awake at all hours. “She was always moving. I don’t know how she had time for everything,” she commented. Lott received a Master’s Degree in music from Carnegie Mellon University. Olt said she was a great singer and also led a 50-member choir at Christ United Methodist Church (for children in grades 6-8). Lott was also an avid traveller, often in the company of her sister Marty, who died at age 96. While travelling in Europe, the sisters saw a road grader made by Galion Iron Works. And the secret to a long life?